On October 31, 2017, IRS issued Notice 2017-67, which provides guidance on QSEHRAs. On February 27, 2017, the IRS issued a notice stating that employers can wait to provide the required initial notice until IRS issues futher guidance, which is expected soon. President Obama signed this provision into law on December 13, 2016. The Senate today overwhelming concurred with the House, sending the 21st Century Cures Act to the President for signature. It is expected that President Obama will sign the bill into law. Tucked away in its “Other Provisions” is Section 18001, Exception from group health plan requirements for qualified small employer health reimbursement arrangements. It’s a great and unexpected boon for small employers. The bipartisan provision (which was sponsored by Iowa Senator Charles Grassley) effectively nullifies the impact of IRS Notice 2013-54 for new "qualified small employer health reimbursement arrangements" (QSEHRA) offered by small employers. It removes from the definition of “group health plan” reimbursement arrangements that follow certain requirements. Removing such plans from the definition of “group health plan” means exempting them from the requirements of Affordable Care Act's market reforms, including the “no annual dollar limits” and “no cost sharing for preventive health services.” Violation of these market reforms currently subjects employers to excise taxes in an amount up to $100 per day per employee (or $36,500 per employee per year!). The provision, which would generally apply after December 31, 2016, is fairly straightforward. 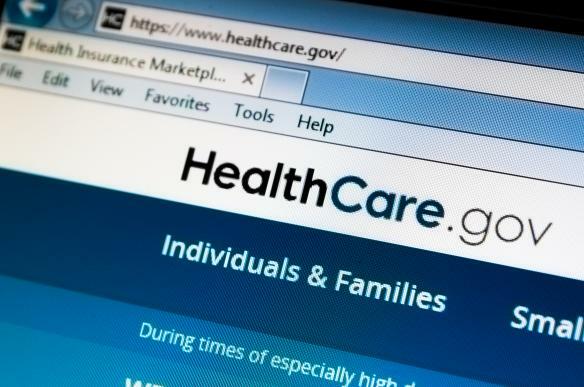 The arrangement is offered by an eligible employer, defined as one (1) with fewer than 50 full-time equivalent employees that (2) does not provide group health care coverage to its employees. The arrangement must be funded solely by an eligible employer. No salary reduction contributions may be made under such arrangement. The arrangement may provide for the reimbursement for or payment of expenses for medical care incurred by the eligible employee or the eligible employee’s family members only after the employee provides proof of coverage. The amount of payments and reimbursements made by the employer for any year do not exceed $4,950 for the employee or $10,000 for family coverage. This amount will be adjusted for inflation, and it is prorated for the number of months during which the arrangement is offered. The provision provides that an arrangement will not fail to qualify as “providing the same terms to all eligible employees” if the benefit varies only (1) because of the age of the eligible employee or family member or (2) because of the number of family members of the eligible employee. This variation is permitted only with respect to the same insurance policy. Employees covered by a QSEHRA must also have Minimum Essential Coverage or else reimbursements from the QSEHRA will be fully taxable to the employee. If the employee is covered by minimum essential coverage (equivalent to a marketplace Bronze plan), the reimbursement amount under the QSEHRA will qualify for exclusion from income under IRC § 106. Employees covered by a QSEHRA will be ineligible for a premium tax credit if the QSEHRA is deemed to be affordable employer coverage. Specifically, a premium tax credit will be denied if the cost to the employee to purchase the second lowest cost silver plan for self-only coverage on the Marketplace MINUS the amount of the QSEHRA reimbursement does not exceed 9.69 percent of the employee’s household income (for 2017). Note that the affordability is calculated only with respect to the cost of the self-only coverage. The cost of the family coverage may be much more expensive, but the employee will still be ineligible for the premium tax credit if the cost of the self-only coverage (after factoring in the reimbursement ) does not exceed 9.69 percent of the employee’s household income. The amount of an eligible employee’s permitted benefit under the arrangement for the year. That the eligible employee should provide the information described to any health insurance exchange to which the employee applies for advance payment of the premium assistance tax credit. That if the employee is not covered under minimum essential coverage for any month the employee may be subject to tax for such month and reimbursements under the arrangement may be includible in gross income. Wilfully failing to provide notice to eligible employees subjects the employer to a $50 per employee, per incident penalty, up to a maximum of $2,500 for all violations in a calendar year. The provision specifically excludes QSEHRAs from ERISA and COBRA requirements. This provision is put in place as legislators begin debate on perhaps repealing and replacing the Affordable Care Act beginning next term. There will no doubt be much discussion on the Affordable Care Act in the months to come. In the meantime, small businesses that wish to reimburse the cost of their employee’s health coverage should be able to do so without fear of penalty (if President Obama signs the bill into law), as long as all requirements are met. We’ll keep you posted as we continue to evaluate the impact of this provision. And, we'll let you know when it's officially signed by the President.